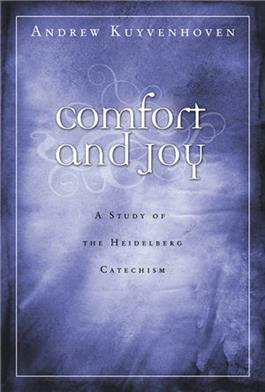 Take a personal, meditational journey through the Heidelberg Catechism with this plain-language commentary. Take a personal, meditational journey through the Heidelberg Catechism with this plain-language commentary. In 49 brief chapters, Kuyvenhoven explains andilluminates each question and answer of the Heidelberg Catechism in plain language. A great resource for pastors preparing to preach on the Heidelberg's questions and answers, or for anyone whowants to learn more about the catechism's teachings and how they affect our daily lives. Andrew Kuyvenhoven is a retired pastor in the Christian Reformed Church. He has served as editor of The Banner, director of Faith Alive Christian Resources' Education Department, and pastor of churches in eastern and western Canada. He lives in Grand Rapids, Michigan.